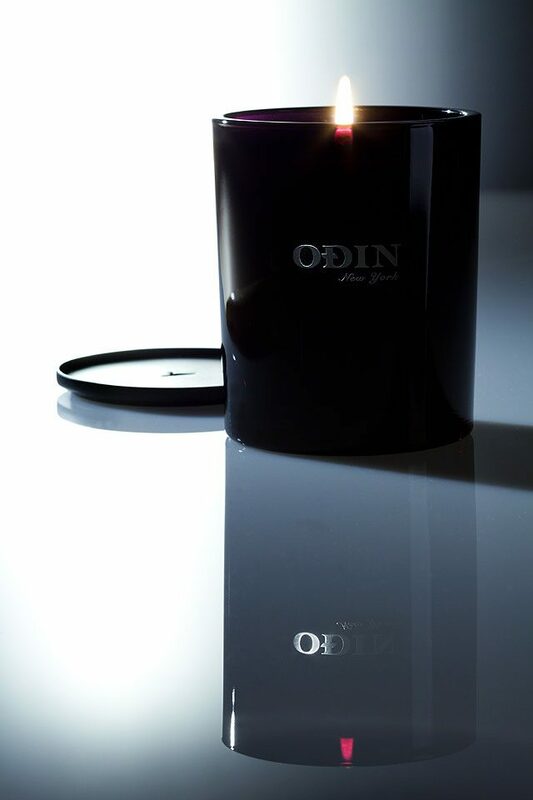 Odin New York expands its beauty and grooming offering with the introduction of candles that mirror their initial fragrances. The debut set of four unisex fragrances: 01 Sunda (formerly 01 Nomad), 02 Owari, 03 Century, and 04 Petrana evoke the exoticism of travel and a modern approach to time-honored fragrance traditions. 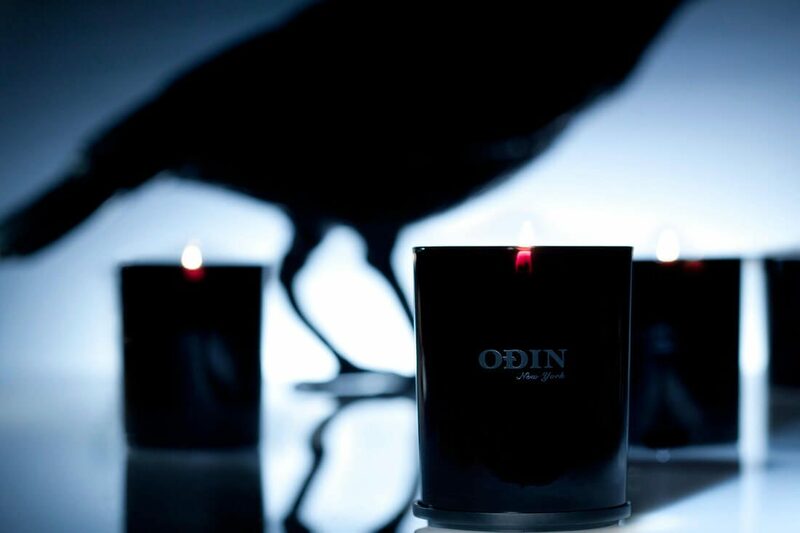 The introduction of home fragrances serves to further expand the Odin New York lifestyle. The clean, monochromatic lines that were synonymous with the packaging of Odin Fragrances illustrated the relationship between minimalist-inspired design and the balance of masculine versus feminine. The same design aesthetic has been applied to the sleek translucent black glass that encases the hand poured slate coloured wax. 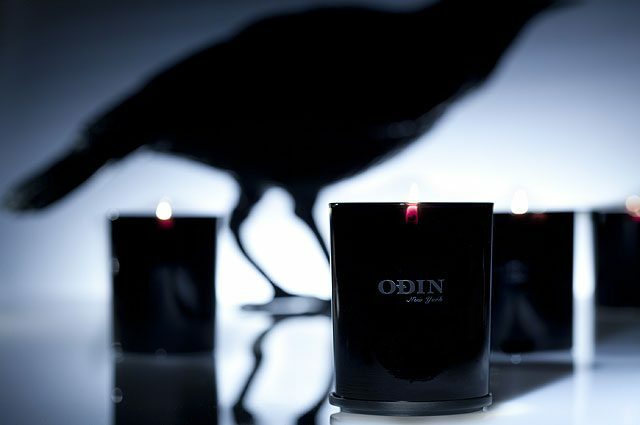 The black metal lid of each candle mirrors the soft-touch matte cap of Odin Fragrances and also functions as a stand for the candles when in use. As the wick burns, the flame takes on an amber hue, drawing a direct relation to the amber liquid of the fragrances. 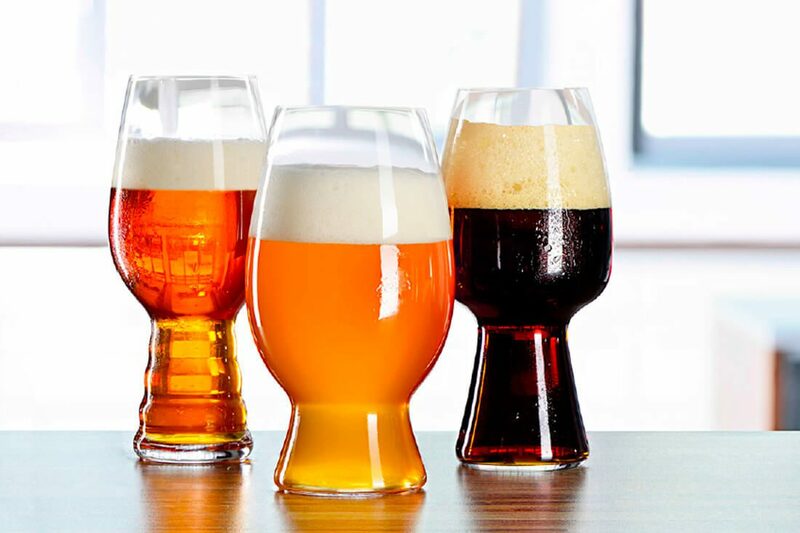 Each candle is unique in its complex structures and distinguished notes. 01 Sunda’s creamy oriental notes of juniper berries and cedar leaves with spicy black pepper linger in its warmth. 02 Owari opens up with rare mandarins and freshly crushed grapefruit leaves, where it meets the vibrant cubed pepper and Tonkin musk. Inspired by ancient Cypress comes 03 Century, captivating the senses with silver birch, Cypress and forest mint. 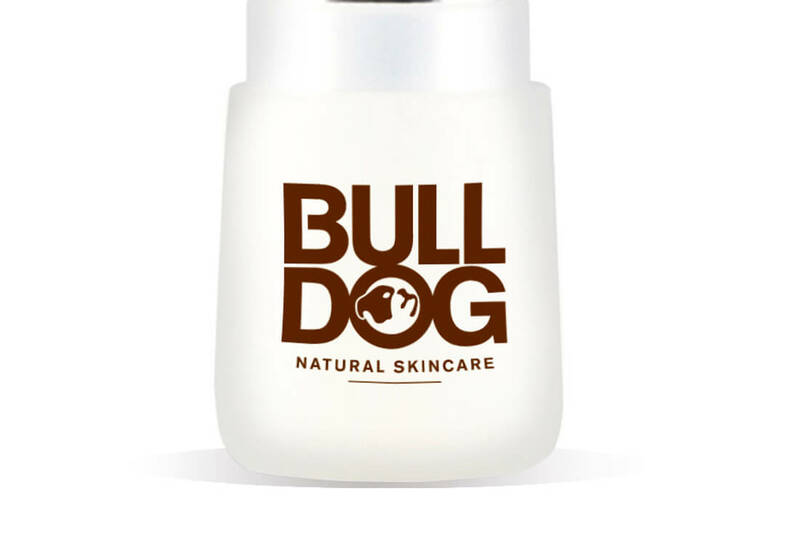 The liquid myrrh combines with vetiver, patchouli and moss for a transparent woodsy scent. 04 Petrana’s blooming Black Iris reveals its dark complexion from the foundation of wild orris root and green violet leaf absolute. Herbaceous coriander, spicy pink pepper and deep purple cassis float coalesce into a luminous floral. The sixty hours of burn time allow these signatures scents to come alive. Available from the 1st April at Odin New York and Pas de Deux in New York as well as select stores domestically and internationally.